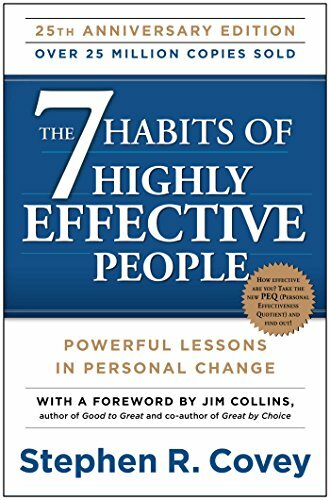 The 7 Habits of Highly Effective People Summary provides a free book summary, key takeaways, review, top quotes, author biography and other vital points of Stephen R. Covey’s famous book. This classic was a bestseller during the early 1990s. And for all the right reasons. 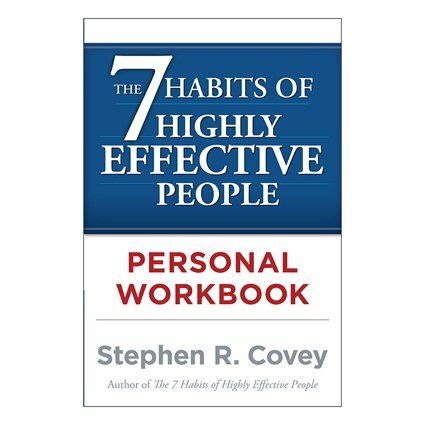 In this book The 7 Habits of Highly Effective People, Stephen R. Covey repackages traditions for the 20th-century readers. The text of Aristotle, Benedict, Cicero, and Tillotson inspires this book. Covey puts some references to psychology. He also adds many references to Viktor Frankl. Frankl was a sage of the Holocaust. Covey presents the mix in an American can-do program of simple steps. These steps call mainly for self-discipline. As a result, we have a useful guide to self-improvement. We feel that most people can learn something worthwhile from this classic. Some may find the writing style a bit too easy-going. They may also see the steps as more straightforward to agree with, but hard to adopt. Much less follow as a habit. How to shape your life and character. Don’t focus on building personality, instead build character. Adopt healthy habits because you’re what you do daily. Excellence isn’t an aptitude, but a habit. You’re free as you can decide how to react to situations. Pick good principles and try to live by them. For example, dignity, honesty, courage, patience, service, etc. Note down your mission statement. This’ll help clarify your principles. Think about what you’d want everyone to say about you after you die. Try to earn it. Cultivate trust in your relations. Balance the focus you give to the roles in your life. Dedicate time to fulfill all your responsibilities. Know that you can improve your habits and hence your life. Taking the initiative. “Be proactive”. Most of the business literature today focuses on building a good personality. But such an emphasis is not right. It’s more important to build a good character. Your personality will naturally come out of a definite character. Don’t force yourself to show a personality which doesn’t match your character. This’s like putting on a mask. It’s manipulative, false and will damage you. For example, the doctors didn’t wash their hands when they didn’t know that germs exist. So when patients were dying, no one knew why. Germ-free ORs were a result of a new way of thinking about how diseases work. Many have a deterministic way of seeing things today. They feel that how they’re built genetically, decides how they act. Or, because of their environment, they’re unable to change. To build a stronger character, avoid determinism. Instead, adopt a paradigm of independence. This paradigm will help you believe that you too can change. That character is also a habit. And that a habit is doing things on a regular basis. If you can work regularly in a new way, you’ll create a new character. This new character is an improvement on the older one. Know – Learn what you wish to do. Know the reason behind the same. Develop skills – Acquire the ability to do it. Desire – You should have a strong desire to do it. Inner work is the most crucial work. If you control your inner self, you’ll master what’s around you. Many people focus on production. On making a visible difference to the outside world. They ignore the source of power because of which production becomes possible. These people become like someone who runs many hours a day. They boast of the added years to their lives. But, they don’t see that they’re spending all their extra time to run. These people may gain a few combined years. But, they’d be unable to do anything else with them. Instead, they could use that time to build relationships. Highly effective people are proactive. They take initiatives. These people don’t limit themselves. They know that they have the liberty to decide the type of character. This is because they can determine how they’ll behave. Situations may not be under their control. But, they choose whether to play victim to those situations or use them. They live by the value of individual vision. Viktor Frankl was imprisoned in a Nazi camp. His whole family, besides his sister, was killed in the camp. As terrible as his situation was, Frankl knew that he was free. This was because he could determine how he would behave during such times. Even when he was starving, he saw himself teaching in a class. He envisioned telling his students about the trauma and his learnings from that. Don’t think that you can’t do anything. Instead, think about options. Believe that you can change the way you are. Choose how the other person can affect you. Stop being negative. Preferably, decide and choose for yourself. Proactive people act in the land of the likely. They realize what they can do. And then they do it. By acting, they widen the horizon of the possible. As time passes, they become stronger. Their ability to do more increases. They start by changing things within them. And then they may go on to change the world. Reflect on your goals. Most people spend their life chasing a goal which proves useless. You can see them on the covers of magazines. Famous and rich people caught for using drugs. Or see their personal lives fall apart. Fame, power, and money were their goals. They did achieve them, but at what cost? Effectiveness doesn’t mean attaining a goal. Instead, it reaches the real goal. See yourself sitting behind the stage at your funeral. Imagine what people will say about you today. Like what you listen? Is that really what you want to hear about yourself? If not, act to change it. Take control over your life. Use personal leadership. Start by writing down a personal mission. This statement must outline your goals. It should also include the type of person you wish to be. Reflect on this mission statement. Analyse yourself. View yourself like you’re. Are you selfish? Money-minded? Workaholic? Find what you ought to change. Commit to improving yourself. Sustain this commitment. You can change who you’re. This power is within you. But, this means changing your actions. Don’t let the top priorities fall behind the last ones. Most people spend their lives responding to emergencies. They don’t develop the skill to avoid those emergencies in the first place. These people are unable to perform personal management. They confuse urgent with important. Critical is more visible. Whereas the important is more stringent to identify. Planning is very crucial. So is to avoid pitfalls, develop relations and build opportunities. Avoid cramming too much into your schedule. Instead, ensure that you invest your time and energy on important things. Reflect on your different roles as a parent, partner, or manager. Allot enough time for every position. Ensure every part gets its fair share. In business or marriage, use interpersonal leadership. This will make both sides winners. Two losses put both sides in the wrong place. But two wins make both parties better off. A win/lose case leaves someone hurt and make one victor. Highly effective people try to get win/win situations. This makes it profitable for all to collaborate. It’s because at the end all sides are better off. Any other situation is damaging. Mainly because it yields losers. Hence, there are bad feelings of defeat, resistance, and hatred. Highly effective people increase their friends, not enemies. Thus, always aim for a win/win alliance. Communication can’t happen one way. To create win/win situations, first, find the other side’s needs. Know what winning is to them. Stop assuming that you know. Instead, listen. Before outlining your needs, understand what others need. Don’t oppose, object or ague. Carefully listen and consider it. Try putting yourself in their shoes. Good lawyers write the case from their opponent’s view. They prepare the most persuasive case using the opponent’s stance. This way they know the possible arguments which the opposition can use. And then they start drafting the case from their client’s view. This strategy holds the same value in personal relations. Or for that matter even business relationships. Always try knowing the needs of other party and the reason behind that. Then when you draft your goals, design them to respond to other side’s needs directly. This refers to acting on the value of empathetic communication. Cooperating increases the strength of one. Creative cooperation might produce a force more significant than the totality of parts. For example, an arch can hold more substantial weight relative to two pillars. This arch is multiplying the strength of both pillars. Such a phenomenon is what we call “synergy”. It refers to bringing together a whole which is superior to the sum of parts. Effective synergy has links with communication. Most people make cooperation impossible. They do so by responding from scripts. These people don’t reflect, listen and react. Instead, they only hear and react without thinking. Their reactions are mostly passive, dominating and defensive. They may agree or oppose, but they don’t cooperate. Cooperation and communication are two wheels of a synergistic relationship. Try listening, reflecting, responding and actively collaborating. In an old tale, a man was cutting a log of wood. The work was going on a slow pace. Result – the man was tired. The more he saw, the less he cut. A passer-by was watching him. He then suggested the man take a break and sharpen the saw. But the man declined to say he didn’t have the time to do it. A dull saw was making his work ineffective and tough. Highly effective people refine their tools first. These tools are their minds, bodies, hearts, and souls. Self-renewal is very important. Effective people care about their bodies. They follow an exercise routine which mixes strength, endurance, and flexibility. Such a program is easy to plan. You don’t need to go to a gym for implementing it. Effective people polish their souls by meditating and praying. They also do so by reading good books and listening to nice music. Don’t ever ignore this spiritual factor. It gives the energy for a lifetime. Mental improvement might mean changing some habits. These habits include watching TV. TV watching spurs passive absorption of attitudes and values. It dulls your mind. Instead, do the math, solve puzzles, read or do some challenging exercise. This will keep your brain active and alert. Repairing your heart means working on emotions. This depends highly on others. Work to develop emotional ties with others. Listen, talk and don’t be demanding. In all your acts, put others first. When you do so, you’ll change into a highly effective individual. In this book, the author has given focus to seven habits, which he has observed to be important in the lives of highly effective people. The author has taken these seven habits after reviewing various people, and the content of the book is inspired by different people like Cicero, Benedict, Tillotson, and Aristotle. 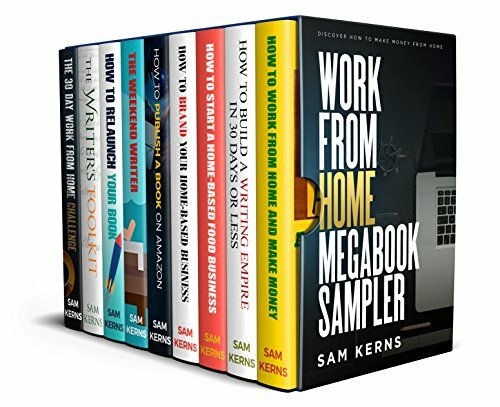 There are total seven habits described in the book to help people in understanding the fact that how they can invest in their lives, and how things can be managed. There are a few habits, which I like the most and I consider them very important if someone wants to build his character in life. One of the habits is being proactive, which means looking to take initiatives. It is a critical habit if someone wants to lead the way. Being proactive means looking for more opportunities and don’t believe in any limits, instead look around for things, which can take them to their ultimate life goals. 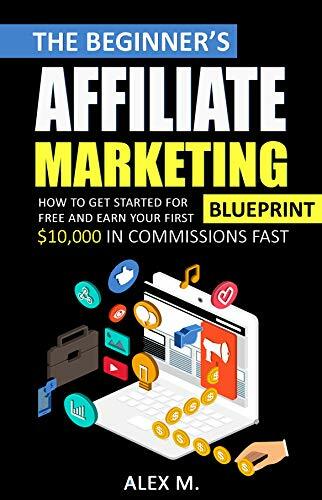 Overall the language used in the book is very simple, and every other common man gets the idea very easily. It is not a book loaded with lots of complex ideas; rather it has described some general habits of life. The other important habit in this book is “Do first thing first”. I think it is a critical habit to be practiced. Highly successful people do make some priorities and then act accordingly. One more crucial habit explained in this book is “Synergize”, which means believing in developing cooperation. A person cannot be effective alone; rather he/she needs support from others. So, cooperation increasing is a good habit to follow. These habits, as well as the overall content of the book, are very effective for people for their self-improvement. 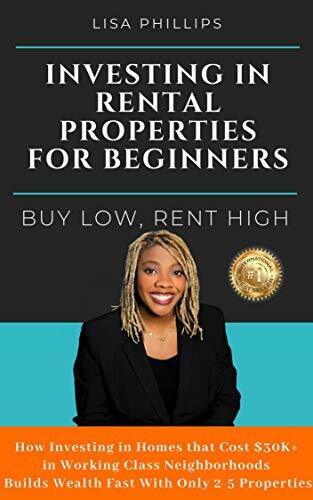 It can be said that every reader can take one or various useful tips from this book to build their character and make their personality a highly effective one. Stephen R. Covey teaches Principle-Oriented Living and Principle-Oriented Leadership. He is the Vice-chairman of Franklin Covey Company. Covey is also the former CEO and founder of the Covey Leadership Centre. He wrote many books. The 7 Habits of Highly Effective People is his bestseller. How is this The 7 Habits of Highly Effective People Summary? Please feel free to leave your comment with us! Well, the point is really valid, the habits covered by the Stephen R. Covey” s Book for the highly effective people. I read the whole book after getting inspiration form this article. Start with the finale in mind is the key idea to get motivation and energy towards becoming an effective personality. Yes, you are the right book of Stephen R. Covey provide references of the Viktor Frankl. While overall it was the amazing effort by the Stephen for the readers to provide guidance to them for self-improvement. As he mentioned the guideline of developing the habit of think win/win that ensures success in one’s life.